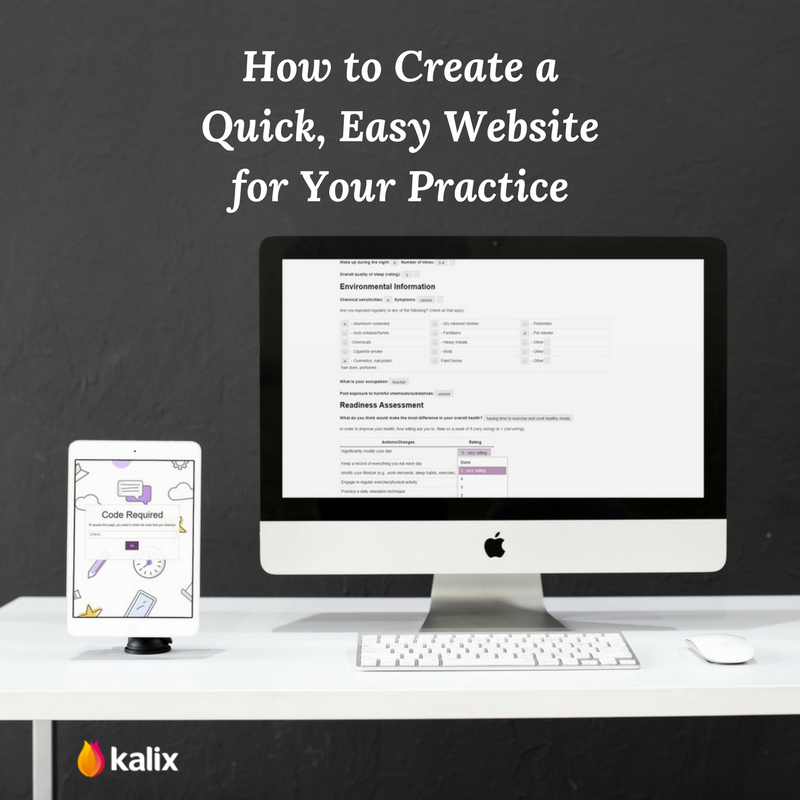 Four Easy Steps to Setting-up a Website for Your Practice – The Official Kalix Blog. Creating a website for your practice is like setting up a virtual office for clients to visit. While visiting your website, prospective clients can learn more information about your approach to nutrition and how to schedule appointments. However, many dietitians struggle to balance the administrative aspects of their business and their work with clients. How can busy dietitians build a website with little tech experience, investment or time? It’s easier than you might think. The most important task of setting up a practice website is to purchase your domain name. This is the web address your clients (and search engines) will look for when trying to choose a dietitian. If you don’t have a name for your practice, you can also use your own name. Many website development platforms such as Wix, Ukit and Weebly allow you to purchase your domain address at the same place you create your website. While it sounds super technical, your web host is the place on the internet your website will live in. There are a number of reputable businesses who host your domain for little cost. These companies may also assist you when it’s time to build your website. While making a choice can be a little overwhelming, look for a company that has positive reviews, rock-solid uptime and provides quick, ongoing support for any issues that will come up. It is also worth noting most website builders also provide hosting as part of their packages. This is not as hard as it sounds! These days you don’t need to be able to code to build your own site. There are many website builder sites available that allow you to design a website quickly and easily, no experience required. You will be able to choose a website design for a selection of premade templates. The template can then be customized with a few clicks of the mouse. You can add or remove pages, choose graphics which represent your practice and write the copy which will reside on your pages. In most cases, this whole process can be accomplished in a single afternoon. Website builder sites are also very affordable, often offering free base subscription plans. There are many website builders to choose from popular options include Wix, Squarespace and Weebly. For a review of various options, we recommend the following site – The Best Website Builders. Electronic medical records and practice management solutions like Kalix come with HIPAA Compliant online scheduling features that allow you to add a scheduling widget to your practice’s website so that you can accept bookings 24/7. All bookings will sync with your Kalix appointment calendar, client files, and automated reminders. The scheduling widget will only take minutes to set-up without the need for coding. At the end of the day, your website is an extension of your practice. Prospective clients will want to find information about you, your methods and will look for easy ways to contact you through the internet. Don’t be afraid to personalize this space to reflect who you are and what you want your clients to accomplish through their work with you!